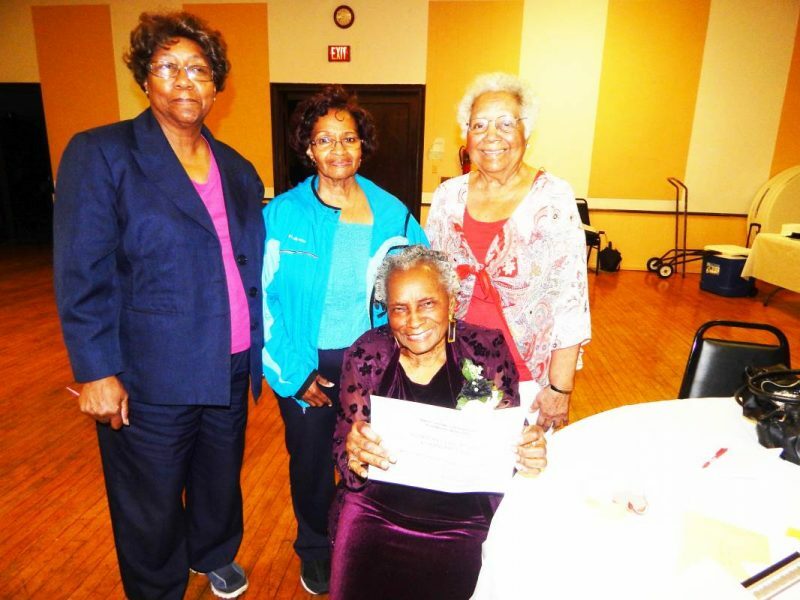 Founding member Marion Ellis (seated) was honored on August 28, 2015 by the Unity Grand Chapter Order of Eastern Star. Ms. Ellis became an Eastern Star at the age of 18. She has been a member of the Unity Grand Chapter for over 65 years. Ms. Ellis established the Unity Grand Chapter Foundation Food Pantry which distributes food and clothing to needy families in the city of Milwaukee. Ms. Ellis is moving to Dallas, TX to live with her daughter and grandchildren. Pictured with Ms. Ellis are (from left) Sister Marian Tharpe, PGWM; Sister Leona Carey; and Sister Deloris Jackson, PGWM.